When performing a Windows 10 update (major update that used to be known as a service pack) or upgrade from Windows 7 or 8, your previous installation is backed up and stored in a cache just in case you want to roll back to your previous build. if you choose to stay with your upgrade that previous installation cache sits there taking up valuable storage space and is never automatically removed so users could be unknowingly wasting 15 to 20 Gigabytes of storage space unnecessarily which is quite a lot to lose if you are using a relatively small SSD system drive. 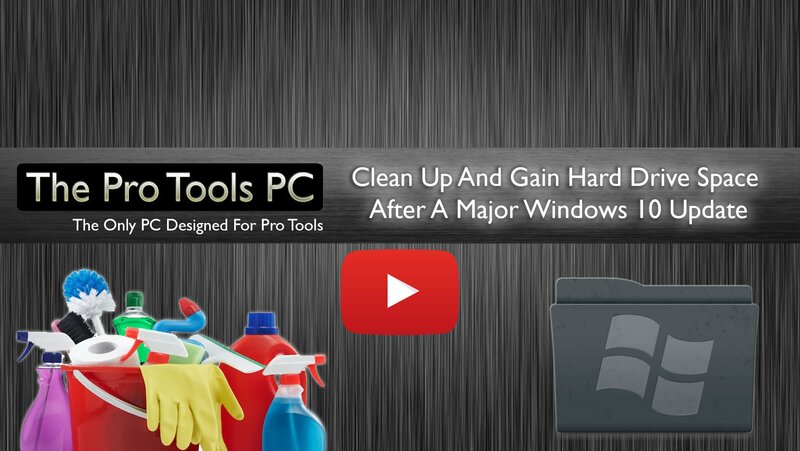 Cleaning out these files is not as simple as selecting and hitting delete, So in this video, we show you how to identify the right files and clean them out giving you back that otherwise wasted storage space. Be sure to leave us a comment of your thoughts below, share the story with your friends and if you want more of this kind of content delivered straight to your email inbox sign up for our mailing list right here. Posted in Discussion, Education, Free Support, System Maintenance, Tech Support, Technical Article, updates and tagged maintenance, Update, Upgrade, Windows.